Charlie enlisted at Pope Field, Ft Bragg, NC on 6 October 1939. He later volunteered for parachutist duty and was assigned to Company A, 508th PIR. 1st Sgt Turner was transferred to the 541st PIR at Ft Benning, GA on 154 August 1943. On 1 August 1944 the War Department released a casualty list for publication. 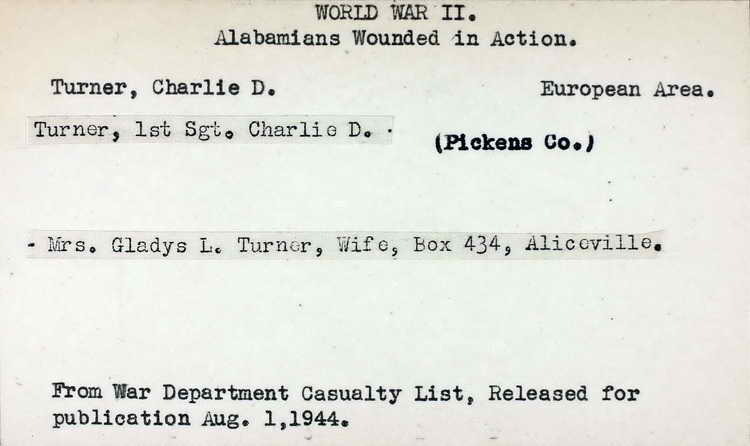 an extract from that list was captured as part of the Alabamans Wounded In Action record showing 1st St Charlie D. Turner had been wounded in action. No indication of date or locality is shown other than "European Area." 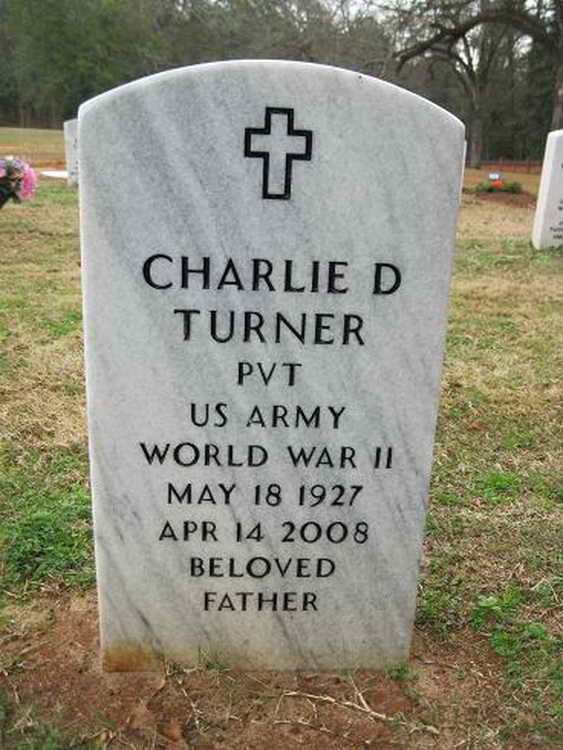 Grave marker for Charlie D. Turner in Section: Q, Row: 2275 in the Andersonville National Cemetery, Andersonville (Sumter County), Georgia. Charlie had been the 1st Sgt in Co A in July 1943 and was transferred to the 541st PIR a month later.